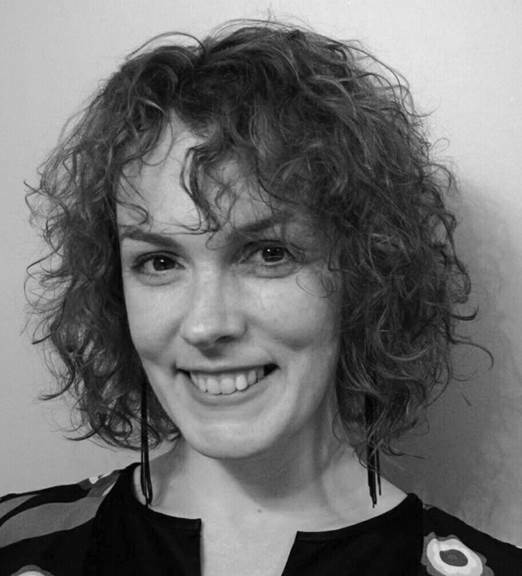 Bridget Canning of St. John’s, Newfoundland, is the author of Indonesian Rice, the story that came in third in Quarter Castle Publishing’s first short story writing contest. Here’s a sample from the story. So, this weekend—I thought a potluck at my place might be nice for ladies only. No theme, just a get-together. I was thinking Friday at 7:30. Please do NOT bring seafood or shellfish as I have an allergy. I have lots of wine: Chianti, Shiraz and Chardonnay. My address is 75 Waterford Cove Avenue. White house, huge driveway. If you get to the recycling plant, you’ve gone too far. Please let me know by Wednesday if you can make it. Hope to see everyone! Cheers! Candice ended these statements by touching something she was wearing: smoothing her skirt, swiping dust from the toe of her pump, straightening a diamond ring. She favoured gauzy blouses in white, beige and black; her skirts and shoes had clean lines, no ruffles, no rounded toes. But her jewelry sparkled: fingers and ears full of diamonds, an ankle bracelet in the summer. She wore a thin gold watch too delicate for her wrist; her flesh puffed around it as if to say, see how I am hugged, see the shiny symbols of love I have. I have committed admirers. I belong to someone.he two main things Joan knew about Candice was she was educated about money—she was the senior accountant at work—and at some point in her life, she had lived in Italy for a year and a half. The email from Candice filled Joan with trepidation, so she minimized it quickly. She already knew it would be wise to go. She’d have to think about a dish to bring. And she’d have to watch herself. Maybe something would come up. She forgot to respond until the next day, so she went out to get coffee at break to tell Candice in person. The staff room was large enough for everyone to segregate themselves comfortably. Some of the men, the more senior ones, occupied the largest round table, their silver heads like a ring of pearls. They played cards on breaks, long games of poker at lunch time. The women took up the couch/coffee table set-up in the corner. Once, Joan nudged Tina Pomeroy and referred to the men as The Knights of the Round Table. Tina erupted into her shrieking laugh so high and astringent, Joan regretted the joke. Bridget Canning’s short stories, photos and poetry have been published in Galleon Magazine, Landwash, and Paragon Journal. This year, she was a winner in the short fiction category with the Newfoundland and Labrador Arts and Letters Competition, and the manuscript for her novel, Impulse, received an honourable mention with the Atlantic Writing Competition. Recently, she was selected to apprentice with the Writers Alliance of Newfoundland and Labrador’s Mentorship Program. She lives in St. John’s, NL, with a loving boyfriend and an unpredictable cat. The complete version of Indonesian Rice appears in the Quarter Castle Chronicles – Volume One with twelve other short stories. Stay tuned for an interview with Bridget Canning on Wednesday November 18th.